As I plan ahead to next week, I am always thinking about what is on my road map. The plan that is in place for me and how much time do I have until spring break! I wonder if you are thinking those same things??? Most of my friends are busy planning their math lesson and their reading lesson. Some of my poor friends are locked into making sure that they are on the same page as their grade level partners. That is never easy...but how many of you are saying to yourselves what am I planning for Science next week? Well...think about your reading lesson! How can your reading lesson lend itself to a science connection? 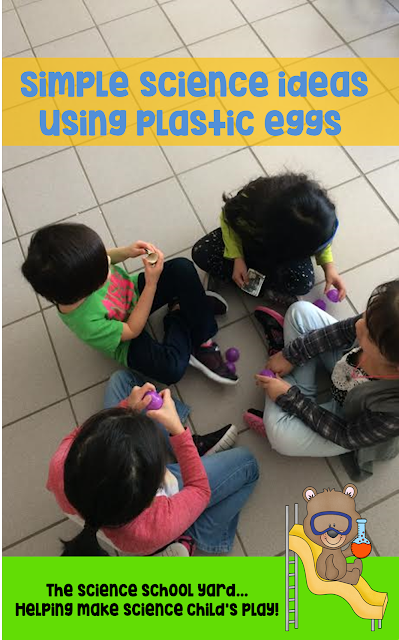 To play off of Dr. Seuss Week...Horton Hatches an Egg was a perfect example of how I was able to engage my kindergartners to learn about oviparous animals. Let's just say it is a perfect way to take any book about eggs and make it work!! 1. I grabbed some Easter Eggs and printed off my animal cards. I folded the oviparous animals and I took 6 eggs of the same color and put one picture into each egg. I did that for four colors. Giving me 24 eggs. One for every kindergartner. 2. I hid them in the room...easy access and then I had them gather at the carpet. I let them know that we were going to learn a very BIG word today. We practiced over and over. Then we went to the anchor chart where we made a list of animals that hatch from eggs. 3. I then read my Egg themed book! I then told them we were going to search for one egg to bring to a group. All orange was going to be one group...yellow another....and so on. We shared the rules: no running, no opening the egg until the baby was ready to hatch, and no getting an egg for anyone else...everyone needs to find their own egg and ONLY ONE! 4. I then let them find an egg. We gathered in color groups. I had a colored paper egg for them to go to so that they knew where to go! I then told them that I would come around to each next to tap them on the shoulder so that they could hatch their egg. 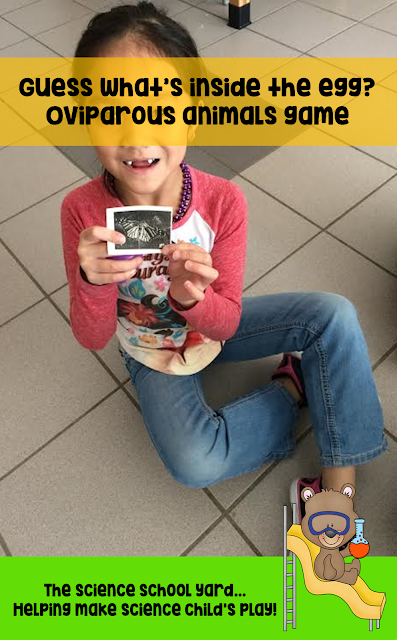 The person tapped could then open it and share an animal with the group that hatches ...making it an oviparous animal! 5. When the team was done hatching all of the eggs we put the papers back in and put them in my egg basket. We all joined at the carpet. 6. We went back to the anchor chart to see what we could add and to look at any misconceptions. We then played the digital google interactive game on the smartboard! I will tell you that my littles love this! Drag and drop! The made the connections and we were able to review what they learned. 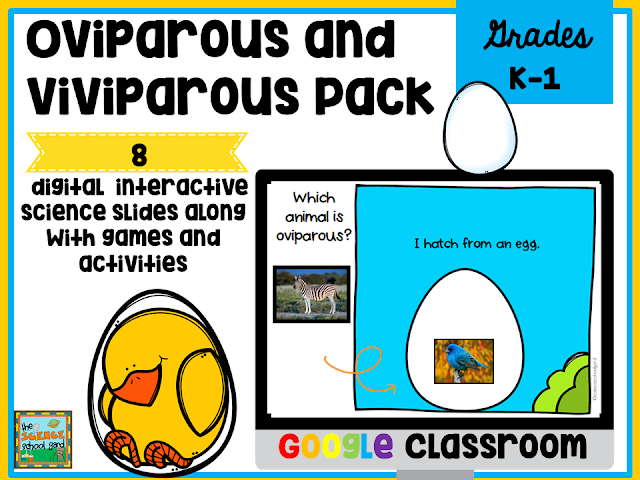 Grab Your Oviparous Animal Pack just in time for Spring! The lesson plan is already for you! This is an EGG-cellent way to welcome Spring!